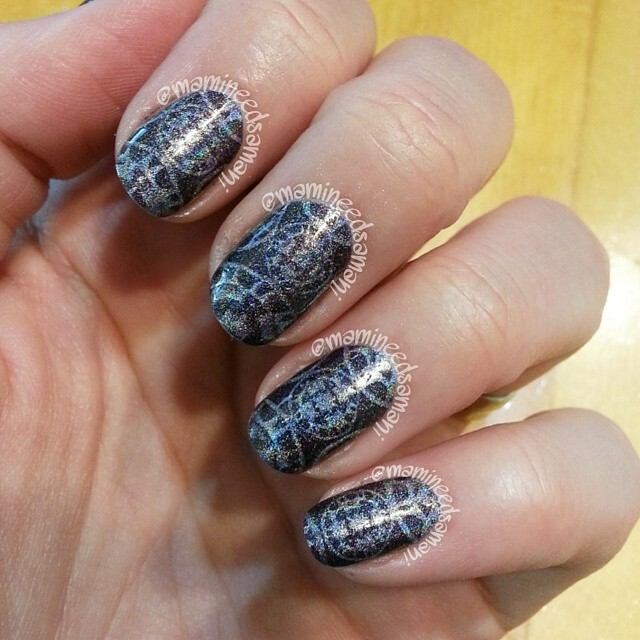 I took a short break from mani swaps just because I was beginning to feel overwhelmed. Well, this month, I jumped back in! Here's my mani swap with the fabulous @mani_on_the_run! I recreated her holographic/silver stamp mani, and she recreated one of my newest, and yet favorite mani's yet! OG Pacific Blue ftw! And here's my solo shot from the swap. 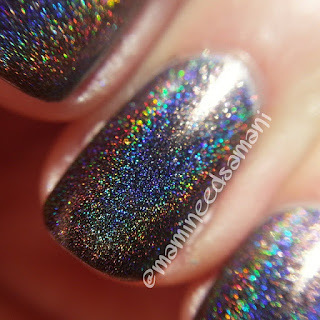 I used Colors by Llarowe My Broken Down Crop Duster...and oh my holo goodness! It is gorgeous!!! See? Just look at that holo-y goodness! 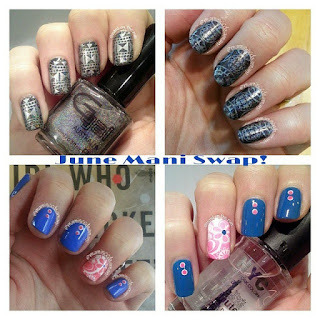 Do you enjoy mani swaps? What was your favorite mani to recreate?